Product Condition: The Cardiff Pullover - Men's is in Good condition. Item was used and washed, Is in good condition. has no tags. Item was owned for 1 month. After a frigid day on the slopes, there's nothing better than slipping into something cozy. Make that "something cozy" the Marmot Cardiff Pullover. 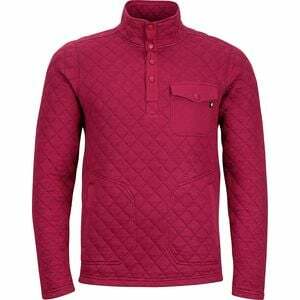 Made with a warming blend of polyester and diamond quilted wool, this pullover offers natural temperature regulation and quick-drying properties in case you're so cozy that you want to throw it on as a layer the next day. It's also got hand pockets for everyday convenience, and a taller hem for increased coverage.